The future is here…and just in time for dinner. 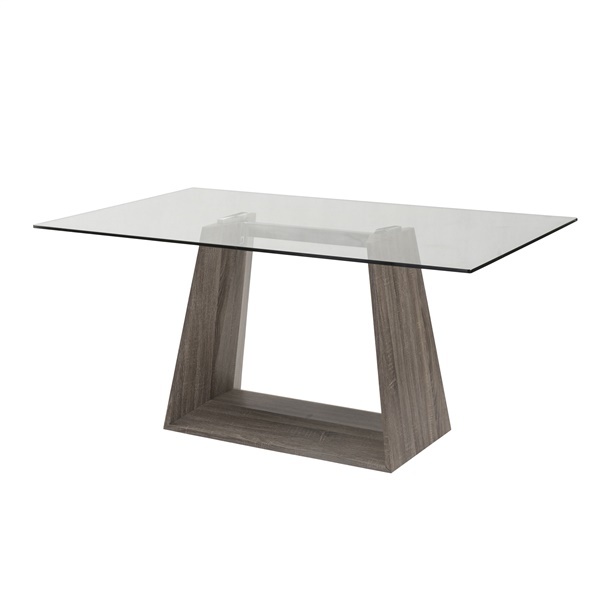 The Bravo Contemporary Dining Table from Armen Living brings simplicity and modernity together at every meal. A sturdy and durable easy-clean glass panel sits atop an angled dark Sonoma base to give you and your family a work of art right in your dining room. Dinner is served on the Bravo Contemporary Dining Table.